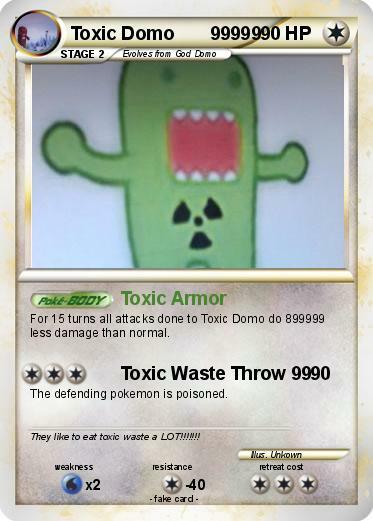 For 15 turns all attacks done to Toxic Domo do 899999 less damage than normal. The defending pokemon is poisoned. Comments : They like to eat toxic waste a LOT!!!!!! !